Most horses need dental care periodically, especially as they get older. Domestic horses are usually kept in artificial conditions, eating grain and hay rather than grazing at pasture, and may not wear their teeth normally. Dental care is an important part of good horse management. A dental checkup once a year is usually adequate, but as the teeth age, it is wise to have twice-yearly dental exams. A quick look in the mouth by a veterinarian using a speculum and a good light, and a feel around in the mouth, can find any problems that might be developing. As a horse gets older, teeth start to wear out. Equine teeth continue to push up out of the jawbone to compensate for wear. As the teeth wear, through years of use, there is less and less reserve tooth. Years ago, horses didn't live past when their teeth wore out; horses in their 20's were considered old. Today, with improvements in many aspects of health care (including dental care) and diet, we can feed older horses beyond when their teeth wear out or fall out, and we need to be proactive in taking care of their dental needs. A twice-a-year dental check lets us to know if there are hooks or points that need to be smoothed or if a horse has loose teeth or missing teeth - with feed packing into spaces that weren't there earlier. Various dental issues create eating problems, or risk for infection at the roots, or openings where infection could go up into the sinuses. Periodic dental care is vital for maintaining a senior horse's health, and making sure it does not have to endure painful dental issues. Old teeth are more brittle than young teeth, and fracture more easily - which may lead to gum infections. Sometimes the veterinarian finds an infected or fractured tooth, or gum infection where food is packed into abnormal spaces in a horse that is still eating well. Often the owner hasn't noticed any signs of pain, but early detection of such issues can save the horse from more severe dental problems. We need to watch for changes such as eating more slowly, reluctance to eat types of feed, moving the food around in the mouth more than usual, or quidding (dropping wads of partially chewed hay). Weight loss can be a sign of dental problems, if the horse isn't eating enough or can't chew properly. Although there can be a variety of reasons why a horse might have trouble holding proper weight, checking the horse's teeth is a good starting point on the list of things to check. Other signs of dental problems include nasal discharge, especially if it's just on one side. This can be a sign of sinus problems - and bad teeth are frequently involved in a sinus infection in horses. Bad breath is another sign that might indicate the horse has a mouth infection. A horse's breath always smells good, and this should not change as he gets older. Inability to chew properly affects feed efficiency and nutritional status, and can also increase risk for other problems such as choke or impaction colic. 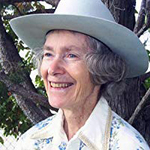 If the fiber in forages is not chewed adequately (not broken down enough), the horse has a harder time moving the mass of feed through the digestive tract. Mild diarrhea or fluid coming out with normal manure can also be a sign of dental problems, since inadequately chewed fiber can irritate the gut. If an older horse is having trouble chewing forages, the dental problem needs to be addressed, or the horse may need a change in diet if the teeth are too worn out. Today there are feeds designed specifically for older horses that can't eat normally. There are chopped forages, and also some cubes and pellets that can be soaked. Some of these can be fed as a complete diet, without having to rely on hay. These products are nutritious and palatable and can keep older horses going for a few more years. Even a fat, sleek old horse should still have his teeth checked; he could have dental problems even though he is fat and doing well. Problems could be developing that should be dealt with before they get worse and cause him trouble or before damage is too great. Dental care could buy him more time before his teeth get a lot worse. For dental work, the horse may have to be sedated. If there is arthritis in the temporal mandibular joint, it is painful for the horse to open his mouth that much. A little sedation can minimize that discomfort and also relax that region. Sedation can make dental procedures safe and comfortable for the horse, with fewer risks. Most veterinarians will also use a speculum, so every tooth can be thoroughly checked - seen and felt. If a tooth is loose you might not be able to tell without wiggling it. Most equine veterinarians can do the necessary work to keep an older horse's teeth healthy, and there are also specialists with more training and equipment. Your veterinarian can refer a horse to a specialist if the horse needs more treatment for a certain problem. Serious dental problems are fairly rare. Most dental problems in older horses involve teeth wearing out, uneven wear, or just the fact that the teeth are worn out or missing. Occasionally a horse has a problem with incisors, especially if they are mismatched, or if one or two fall out or break from being kicked, falling down, running into something, biting a rock in feed, etc. In addition, incisors may develop uneven wear over time as a horse ages. Horses' teeth are unlike human teeth, and most of the common dental procedures for horses are not painful. The horse's tooth anatomy is much different from human teeth, and they don't need root canals and fillings. Infection in the horse's mouth or an abscess affecting a tooth can be treated with antibiotics or the veterinarian may extract the affected tooth. 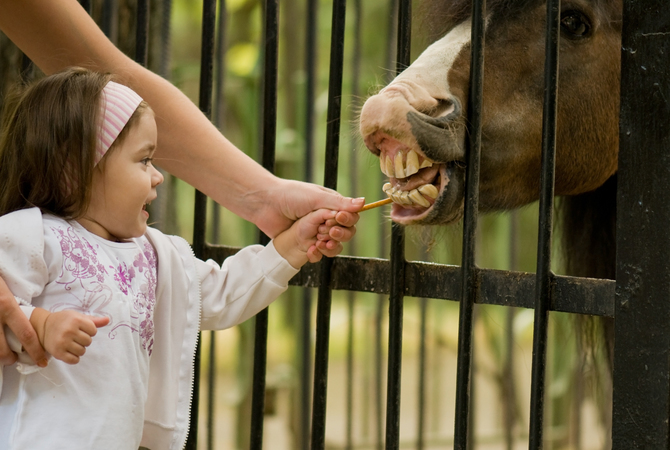 In most cases, the goal is to save a bad tooth in a horse of any age. The jaw is healthier with the tooth in its proper place. When there's a gap in the horse's mouth with no tooth, the opposing tooth has nothing to wear against and may get too long creating additional problems for the horse.